so much she wants to kiss him. So why does Ramona get in so much trouble? And how does Ramona manage to disrupt the whole class during rest time? Anyone who knows Ramona knows that she never tries to be a pest. Ramona the Brave Now that she's six and entering the first grade, Ramona is determined to be brave, but it's not always easy, with a scary new all-by-herself bedroom, her mother's new job, and a new teacher who just doesn't understand how hard Ramona is trying to grow up. Ramona Quimby, Age 8 Ramona feels quite grown up taking the bus by herself, helping big sister Beezus make dinner, and trying hard to be nice to pesky Willa Jean after school. Turning eight years old and entering the third grade can do that to a girl. So how can her teacher call her a nuisance? Being a member of the Quimby family in the third grade is harder than Ramona expected. career in her early thirties. 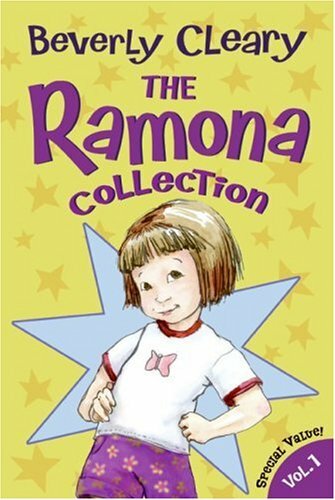 Her stories and especially her characters, Henry Huggins and Ramona Quimby, have proven popular with young readers. Her books have been translated into fourteen languages and are available in over twenty countries. Some of her best known titles are Ellen Tebbits (1951), Henry and the Paper Route (1957), Runaway Ralph (1970), and Dear Mr. Henshaw (1983). Several television programs have been produced from the Henry Huggins and Ramona stories. Cleary has won many awards for her contributions to children's literature, including the American Library Association's Laura Ingalls Wilder Award in 1975, the Catholic Library Association's Regina Medal in 1980 and the John Newbery Medal in 1984. Tracy Dockray studied Fine Arts in New York. Her career spanned from sculpture to puppetry to painting murals in hospitals, school playgrounds, and children's rooms. Finally she began to illustrate children's books. She has illustrated over 20 books including two that she wrote herself and the Harper Collins editions of Beverly Cleary's Ramona Series and The Mouse and the Motorcycle Series.